I was asked this on Quora and it got me thinking. 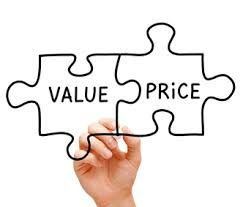 How should one set a price in advertisement based business models? I figure that the following factors should be considered to arrive at a pricing level. Traffic Demographics & Engagement – The business must analyse the traffic it gets; whether it is premium or mass, male or female, coming from bigger cities or smaller ones etc. Since a customer’s demographics can be used to assess the average spending of the customer, pricing should adjusted based on it. Relevance – If the startup caters to a niche or a very limited audience based on an interest, demographic etc., the pricing tends to go up as an advertiser can reach out to a more focused audience. Comparables – As the market for advertisements is very competitive, every business must keep an eye on competition before setting their pricing levels. An advertiser’s budget is limited. Hence a business has to assess all possible options the advertiser has and must not restrict to only competitors which directly compete with it.